Emma Barry is an observer and catalyst. Founding member of group fitness juggernaut Les Mills International and former Director for luxury-lifestyle brand, Equinox; Emma has inhaled senior roles in programming, product development, training, and people. 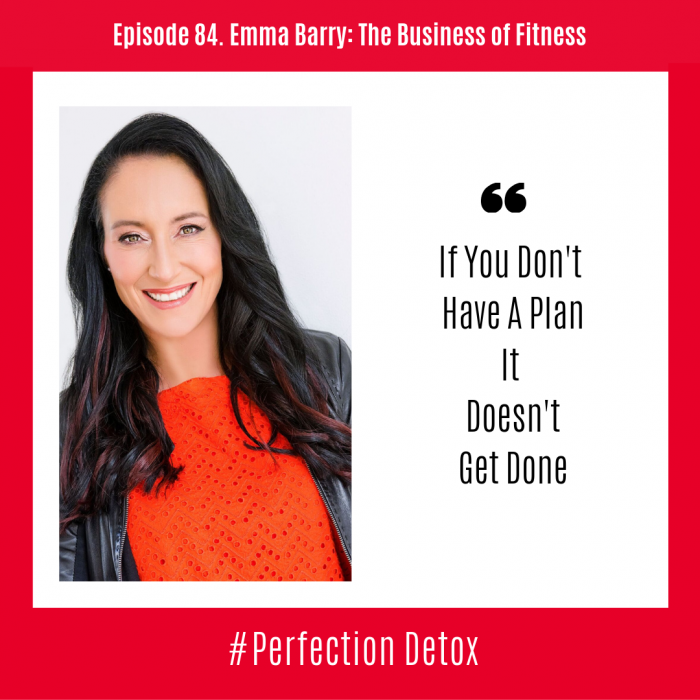 Emma consults to the fastest growing fitness segments: budget clubs and boutique studios, is a prolific writer, sought after speaker, mentor and is fluent in what happens NEXT in fitness. In 2018 Emma authored Customer Engagement in Boutique Studios – the 2018 Retention Report for Europe Active and delivered the opening Keynote the Sweat Studio Summit in London and delivered boutique insights on The Fitness Business Podcast and Escape Your Limits Podcast. We begin with Emma sharing her journey of how she got into fitness. Her original dream was to be New Zealand’s leading defense Lawyer, but she couldn’t sit exams very well so she fell into physical education. Her first job was with Les Mills and she ended up staying with them for 25 years, and a few years into that journey she realized the importance of seeking business opportunities as well as physical ones. Emma began her career doing group fitness classes but moved into management early on. For Emma, this was a way to stay in the industry and take on a real job that didn’t involve being physical and trading her time in an hour to hour situation. Emma talks about the skills she could bring into fitness from her career in law: One was curiosity and the other was the ability to see both sides of a viewpoint and utilize critical thinking. Emma’s whole life has been working inside and outside of fitness, looking for the next thing and then trying to take something and make it better. Emma challenges us not to follow but to lead and asks us to consider the question, “when was the last time you had an original thought, or you actually made a choice for yourself that wasn’t delivered up in your Instagram feed, told to you by your parents?” An interesting question for sure. She invites us to look at how we do things and where we could create a more wow experience, in the day to day life of others, whether it’s inside or outside fitness. Emma pushes us to ACT. Stop thinking and start doing. If you have an idea, do something with that idea, don’t leave it behind you, because if you do, there’s a couple of things that’ll happen. You’ll either regret it, or someone else will come along, do something similar and they will be the next big thing. might have an answer to the pieces that you haven’t quite worked out yet. Emma loves to mix things up and instead of just hearing about things she loves to get in the room with brilliance. She works closely with influencers to notice and spot the trends before they become the trends that we know. Emma also talks about the importance of having our own IP. The importance of creating our own assets that we can then use to expand our reach. She gives some examples such as writing white papers, writing a book or an E-book or creating a course. What is something that you build into a methodology, workshop or course and then sell? Emma sees a big opportunity with the baby boomers, as over half our working environment by 2020 will be this generation. These are the people who are underserved and she reminds us that you do not need a large following to be successful. Find the gap in the industry and then be the solution. She invites us all to stay in for the long game as she sees a lot of people who are 20 or 30 years into an industry, then they want to jump ship which is not always the greatest idea. To stay in the game it sometimes may come down to taking what you’ve always been good at but approach it from a different angle. We talk about the importance of creating space for learning and sometimes we need to say no, but Emma also thinks there’s a period where you do need to say yes, especially in the beginning. Then once you get busy you can pull back and make more room for your evolution. Emma talks her ruthless rituals, which for her is up at 4:45 am – allowing her two hours in the morning for learning, not sitting on social media, not running around after the family, but actually sitting down and learning for herself. She also reminds us to listen to our bodies. There’s a time to train our body. There’s a time of clear thinking. There’s a time for meetings and calls, there’s a time to do the bills and all the other stuff. But stay on your plan, otherwise, you just end up doing everyone else’s agenda. Everyone else gets ahead and you don’t. We close up the show by Emma, once again reminding us of the importance of knowing your strengths and your values. Also, look at what’s on your calendar and what’s on your credit card? What do you value? These two items will tell you so much about yourself. Keep what you like and change the rest.